January 25, 2015 – Sixty-eight-year-old Michael Jayjock is a busy man. When he’s not holding down the fort as the sole proprietor of his Pennsylvania-based environmental services company, Jayjock Associates, LLC, or serving as the senior analyst for The LifeLine Group (a non-profit in risk assessment), or working as a consultant, he’s probably at his desk blogging. After a lifetime as an industrial hygienist, including 35 years with Rohm and Haas, Jayjock has an impressive portfolio of clients, including Fortune 500 specialty chemical companies; regulatory agencies in the United States, Canada, and the European Union; the U.S. military, and building materials manufacturers. Jayjock, who has long been a consultant, author, and lecturer in the areas of industrial hygiene and risk assessment, has discovered a new platform in recent years: his blog Human Health Risk Assessment to Chemicals. He says that he has found that he can reach a wider audience with his keyboard than he can with a microphone. By contrast, Jayjock’s blog has gotten 42,000 hits since its launch in early 2013, for an average of 400-500 hits per week. His December 14 post titled “What is ACCEPTABLE Risk?” declares that “acceptability is a mix of politically recognized and derived subjective values.” It created an online firestorm with 1,600 hits in a few weeks. Jayjock was trained as an environmental engineer but likes to refer to himself as “a human health exposure assessor.” He works on both the toxicology and modeling sides of industrial hygiene, focusing on developing tools that assess the risks of human health exposure to chemicals. “I am intensely interested in research and development in this area,” he said. 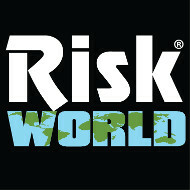 To his delight, he believes his blog is helping budding risk assessors and regularly gets encouraging comments. “I wish I’d had you as a professor,” wrote one reader. In addition to his blog post “What is ACCEPTABLE Risk,” other posts have also generated a buzz of interest.. Jayjock’s July, 2, 2013, “A Simple Modeling Exposure Example” netted 1,200 hits. His post “Acceptable Risk: Personal Gut Check,” Jan. 4, 2015, received 800. “Confessions of a Pump Jockey,” Jan. 6, 2014, saw 700. Not only do his posts create a lot of chatter, they often become the trending topics in the nearly 20 interest groups that he belongs to, and they are read nearly worldwide– although he would put it more modestly. “There’s a bit of international flavor,” he said. “Most of my readers are in the U.S. and Canada, with quite a few in Europe and quite a few in Australia, and I’ve gotten some comments from India and Middle East. “When I go to conferences, people come up to me who have read my blog,” he said. Colleagues from the Netherlands, France and Japan follow him and Jayjock says that keeps him on his toes.